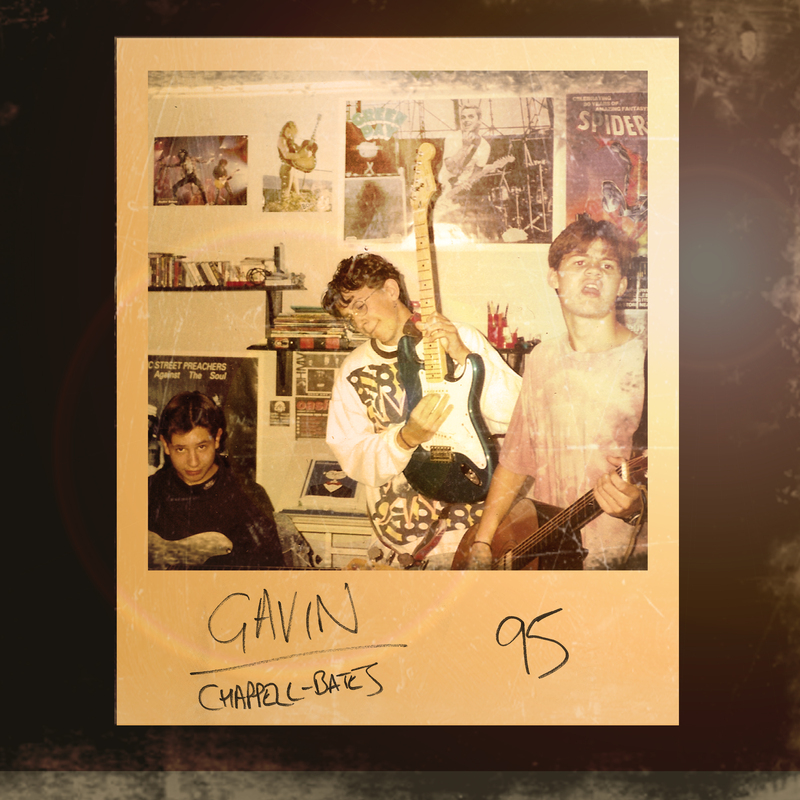 REVIEW: GAVIN CHAPPELL-BATES IS SET TO RELEASE HIS SECOND SINGLE ON THE 20TH JULY 2015 FROM HIS DEBUT ALBUM AND IS CALLED ’95’. Gavin has picked ’95’ to be his next single because its a upbeat track which is very BritPop has a great summer vibe. The intro of this this track is ver bouncy and upbeat which automatically gets in you moving, this is continued throughout the whole track. Gavin’s vocals are straight away heard and are very clear,mellifluous and very pleasant to listen too. This is a song that would be memorable and have on repeat in the summer wholst having a BBQ , the fun intrumental variety has a great balanc and allows to be carried through the song and enjoy the music. AND you will be able to stream it through SPOTIFY. This entry was posted in Review and tagged 20thjuly, 95, amazon, bandcamp, GAVINCHAPPELLBATES, google, itunes, newmusic, Review, singer, SINGLE, songwriter, spotify. Bookmark the permalink. 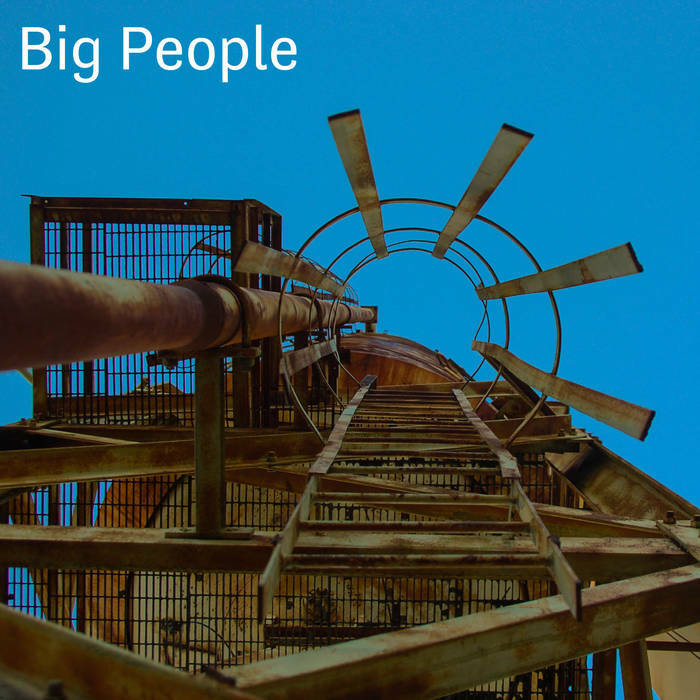 REVIEW: MAX GOWAN IS A SINGER/SONGWRITER WHO RELEASED HIS DEBUT ALBUM ‘ BIG PEOPLE’ APRIL THIS YEAR.HERE’S MY REVIEW OF THE ALBUM. Max is a artist with a Alt Pop/Lo-Fi Genre and from Raleigh, NC‏. ‘Big People’ starts off with a track called ‘Rare Thing” a piano and guitar inro to draw you in and builds the tempo throughout. The husky and appealing vocals from Max then come straight through and just makes you want to listen to the rest of this album. The Second track ‘Window’ tells you a story of what Max thinks of someone and wants to help them but he cant because there is a window in the way. Low vocals and again appealling which shows he wants to help someone. ‘Face’ is the third song of the album and its more up tempo and carries you through the song natuarlly.The vocal expresses this songs emotion which you can see this all the way through but is still a good song to listen too. This is just Three of the Twelve tracks so want know more about this album go get your copy by clicking the link below. Max is an up and coming Artist but is very natural and talented as you can hear and understand the lyrics throughout this whole album. You would have this on repeat with Max’s great vocals and all the messages that are hid in the songs/lyrics which you can understand. This entry was posted in Review and tagged Alt Pop/Lo-Fi, BIG PEOPLE, DEBUT ALBUM, genre of music, MAXGOWAN, NC‏, newmusic, Raleigh, singer, songwriter, usa. Bookmark the permalink. 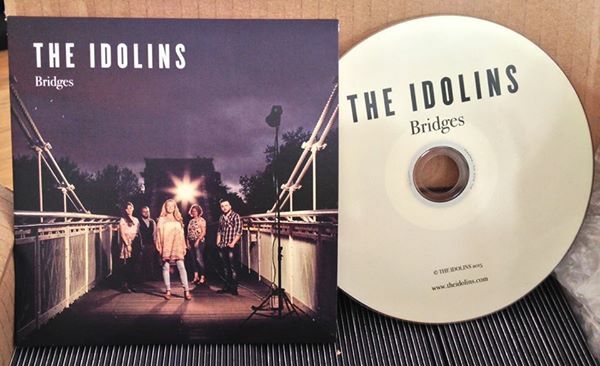 The Idolins are a Five Piece made up of Karen Smalley-Turner, Nick Scott, Mark Rice, Hannah Barrs, Bar Morton from Nottingham. Track 1 – ‘What Would You Change’ starts of wide range of notes by multiple instruments which sets up the whole song and leads us through the song naturally. Vocals on this track start off with Karen’s silvery and then the backing vocals come through clean and softly sang. The lyrics in this song are very meaningful and clever bringing the song together and gives it a natural rythmic quality. The band all together show that they have a creativity and are professional which this shows throughout the whole album. Track 2 – ‘ Arms Out Wide’ A slower start to this track and vocals are quieter which doesnt effect this album at all, it still has the same flow which comes naturally to this album. The lyrics seem to be more personal and tells the story that its ok to have your ‘arms out wide’ for a loved one and fight for someone you love. Track 3- ‘Nothing Missing’ This is the latest single off the new album which was released early this month.Again, slower track but the beautiful guitar strums and Karen’s modulated vocals seem to piece the song together. Then a more of a upbeat acoustic vibe which is peaceful to listen to and this carries through the song. Lyrics are there to get a message across to their audiences but do have a personal touch to them which you can feel when listening to the song. This is just three of the 14 tracks on this album. A very peaceful Album to listen to with messages and upbeat tempo’s throughout, Be sure to get your copy when this is released on the 3rd July 2015. 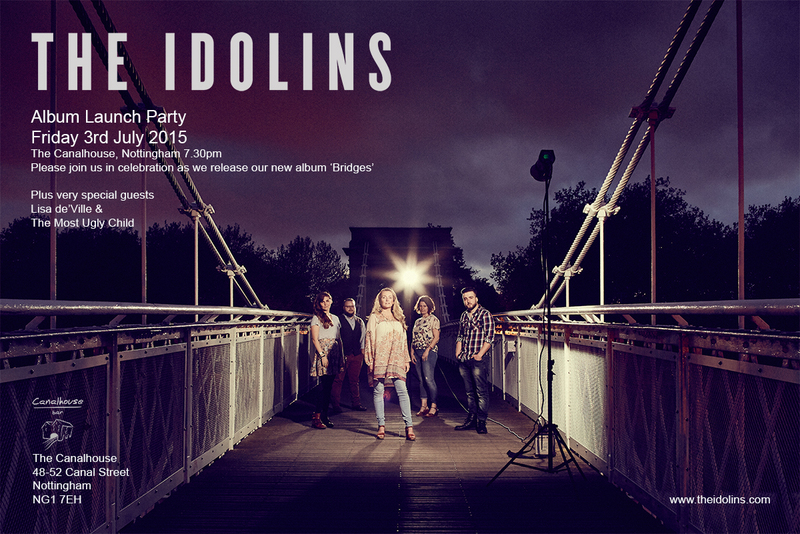 The Album Launch Party is on the 3rd July 2015 at The Canalhouse, Nottingham at 7:30pm with special guest. This entry was posted in Review and tagged 3RDJULY, Album Review, Brand NEW, facebook, NOTTINGHAM, Review, soundcloud, THEIDOLINS, twitter, UK. Bookmark the permalink. I GOT TO CHAT WITH LEAD VOCALIST OF NEW MANCHESTER BAND YOUNG MONARCH’S REBECCA LEWIS, HERE’S WHAT SHE HAD TO SAY. its hard to really categorise our music into one specific genre. We’re definitely pop, but not really commercial and chart pop. I suppose we fit in the ambient/alternative-pop with influences of soul, RnB and rock. Grew up in Jersey and developed a love of music from a very young age, growing up with albums like ‘London calling’ by the clash and the police, Eric Clapton and led zeppelin. My performing career started at 3 but with dancing. i carried on dancing till I left school partaking in several large competitions including the dance world cup. I was mainly involved in music theatre when i was at school, but developed a love for songwriting from the age of 8 which lead me to apply for the RNCM where i was honoured to gain a place and meet my fellow band mates. Our drummer Matt really liked the name Monarchy and i think we toyed around with ‘The Monarchy of Venice’ for a bit. We were called monarchy for a while until we realized that name had already been used, so we kept the basis of it and just called our selves Young Monarch. Rebecca sings Lead vocals, Rhys guitar, Hannah keys and Matt drums. Luckily enough for us we have multi talented instrumentalists in the band, so Dan and Chris switch between bass and their other instruments depending on the song we are playing. Dan plays Violin and Chris plays Saxophone. in terms of writing, it really depends! Rebecca and Rhys write the skeleton of the track usually. Rebecca writes the melody and lyrics and Rhys writes the chords, then we usually jam around with a new track in a rehearsal and everyone comes up with their own parts. I Love writing this way, because it means everyone adds a bit of their personality to the song, which makes them much more fun to play. because we’re at music college most members of the band play more than 1 instrument. Aside from Dan and Chris using their second instruments in the band, Rhys is primarily a drummer, and an incredible one at that! He studies drums at the RNCM and can also play piano pretty well. Hannah also plays the trumpet, Rebecca plays hannah’s trumpet when she’s drunk. I think it began at a Bill Lawrence concert back in October. Hannah and i had had a few pints and we were speaking to Dan and Chris about how much we wanted to start a band. I have been writing original music since i was around 8 (obviously my first songs were less than Grammy award winning) and it had always been my aim to get a band together. we joked about having 2 bassist, but found out that Dan and Chris played other instruments as well. I had a separate conversation with Matt about the same thing, so one day just propositioned everyone. I knew i wanted the genius that is Rhys Jiang in the band, firstly because of his effortless style, but mostly because he was also a good mate of mine. I knew he played guitar, so i kind of just told him he had to do it.. i guess i didn’t really give him an option to say no! We all study Popular music at the RNCM and are in the same year. We’re all really good friends so making music together was probably inevitable! We don’t have any specific influences. When we write a new song we just write it because we enjoy the sound and its something fun to play, i think thats why our music was quite varied to begin with. If i was to compare us to another band i would go along the lines of massive attack, London grammar and the 1975.
i think we all come from a relatively musical background, even if neither of our parents were professional musicians. Rhys’s dad is a composer and the rest of our parents either played an instrument or had a love of good music. I personally come from a very musical theatre background. I’ve danced since i was 3 so its always been the natural concession, my dad however brought me up listening to led zeppelin and the clash and is pretty good at the guitar and bass, so I’ve had a very varied musical upbringing. even though neither of my parents do music as a profession, I’ve definitely been surrounded by it from a young age, so singing and writing was just something i started doing for fun from as far back as i can remember. I always write from personal experience. I feel to make powerful music, you should be connected to what you are playing. if i have a strong emotion or memory of something whether that be a heartbreak or just going out and having a good night with some friends, i try to write a poem or some lyrics about it and a song tends to emerge. thankfully we are going to be in Manchester for the next 3 years finishing our degree, so we have time to really produce some excellent music we are proud of with integrity. We all love doing what we’re doing, so if we can carry on making great music and playing live shows to lots of people we will all be very happy. Hopefully in 5 years time we will be signed and have a good fan base supporting us in what we do. Things are looking good at the moment, so with a lot of hard work lets hope we’ll be on that path! I am massive festival goer so my dream would be to perform on a big stage at something like Reading or Glastonbury, other than that, i think the Royal Albert Hall would be an incredible live venue to play at. Where would your dream place be to perform in the USA? The first ever concert i went to see was at Madison Square Gardens, and i remember saying to my mum that I’m going to sing there one day, so if that dream could come true, that would be amazing. If you could do a collaboration with anyone who would it be in the UK? If they were still alive i would have to say someone like David Gilmoure or Alan Parsons. I’m a big fan of people who make albums that are intended to be listened to from start to finish, without the emphasis on specific singles. If i could have had a conversation with any of the members of Pink Floyd, i would have been very content with life! If you could do a collaboration with anyone who would it be in the USA? There’s so many incredible musicians in the USA, it would be hard to say! From a singers point of view it was obviously be a dream to sing with Beyonce (cliche i know! from a musicians point of view, i think someone like Devandra Barnhart, or Mac Demarco.. but i think he might be Canadian. from the rest of the world, id love to make some acoustic music with Matt Corby, or some soaring psychedelic tunes with Tame Impala. If you weren’t doing music what would you’s be doing? Probably something science based like Medicine or chemical and biological engineering. i’m a massive geek at heart! I’m going to do the geek thing and say anything associated with Lord Of The Rings. There is a section in the single we are about to release which contains a violin solo, and i’ve always imagined that would sound good behind something like LOTR or Game Of Thrones. We try to be as involved with social media as possible! At the moment we have Facebook (Young Monarch), Twitter (@YoungMonarchUK), Instagram (@youngmonarch) and a website. We try and be as interactive as possible and always like to keep our fans updated on any news or releases! This entry was posted in interview and tagged Band, chris rabbitts, daniel addison, hannah may rose, Interview, matt sanderson, rebecca lewis, rhys jiang, SIXPIECE, UK, YoungMonarch. Bookmark the permalink. ‘PHASE FIVE’ A NEW FIVE PIECE BOYBAND FROM DIFFERENT PARTS OF THE WORLD BUT ALL HAVE LOVE FOR MUSIC AND PERFORMING! GET TO KNOW MORE ABOUT THEM RIGHT NOW! The five lads are aged between 20-25. Phase Five does Urban Pop, which is a hybrid of R&B and Top 40 Pop Music. We are a vocal group based out of Los Angeles. Our homes are comprised of The United Kingdom, Puerto Rico, and Belgium! We are aiming for the top spot in music history. Jeremiah was researching cool ways to express the band and each members personalities. He came across a cool Japanese legend that used five phases to make up humanity! So each member has a Phase. Earth-Jeremiah, Electricity-Lee, Metal-Alex, Air-JayC, Water-Nelson. We are all singers and dancers in the band. We all collaborate on harmonies and band arrangements as well. 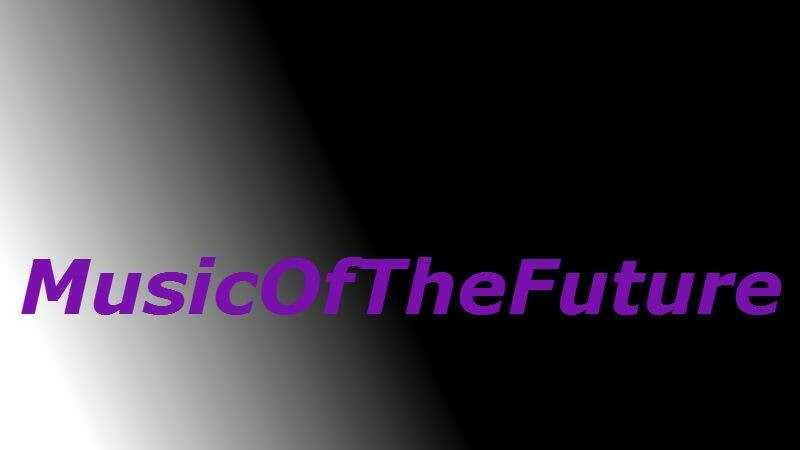 We have a distribution deal with Sony/The Orchard, which is great because our music can really spread transcontinentally. Alex, Nelson, and Lee can play guitar! Jeremiah can play the piano and tenor saxophone. Jeremiah held auditions in 2013 to start a diverse boyband. Firstly, he found Jay C and Nelson. For the second round in January 2014, Alex was added into the band. Then at the end of the year, Lee was added into the line up to complete the band. We all have various individual influences because we all have different musical inspirations. As a group, we are strongly influenced by Jason Derulo, NSYNC, Justin Timberlake, Chris Brown, and many more! Diversity is a key factor for our band! Jeremiah is African American, Trinidadian, and Korean. Lee is British. Alex is from Belgium, but has Italian heritage. JayC is African American, Caucasian, and Native American. Nelson is Puerto Rican! You released your EP ‘The Rise’ what’s different about your EP to any other? With “The Rise”, we offer a variety of music that fits all moods, genres, styles, and flavors. We have power pop, dance pop, R&Bass, and old school vibes all in one EP! It is also cool because we are bringing back harmonies to the game. Whats the meaning behind the title of you new EP ‘The Rise’. The Rise is a reflection of our career at the moment. We’ve worked very hard over the past year to express our music and branding and we’ve finally figured it out. It is the first of many releases from us a band! We all use writing/creative moments to express ourselves, whether is family, friends, relationships, life. From there, we come together to talk about what we want to relay on that message. There are too many to name, but the release of our EP has definitely been a highly for us! What’s the best bit of advice have you ever received? We would love to be touring globally with at least two albums out. Traveling and promoting our music is something we love to do and we cant wait to do it on a larger scale. WEMBLEY! We’ve watched the Summertime Ball there and its an incredible arena! Definitely Madison Square Garden or the Staples Center in LA! Ed Sheeran is an incredible writer! We would love to work with him at some point. If you could do a collaboration with anyone in USA who would it be ? Fifth Harmony is such a great girlband. It would be cool for a boyband and a girl group to collaborate because its never been done before. Networking is key out here in LA. You can be the most incredible singer but you have to put yourself out there! Lee would be a graphic designer. Jeremiah would be a celebrity interviewer. JayC would be an anesthesiologist. Nelson would be doing TV production. Alex would be a hairstylist. Lots of water, pizza, an amazing sound tech, sleep, and our amazing vibers to show up! We would love to be on X Factor! It’s a perfect show for us because we are very performance driven. Our band website is www.phasevmusic.com. 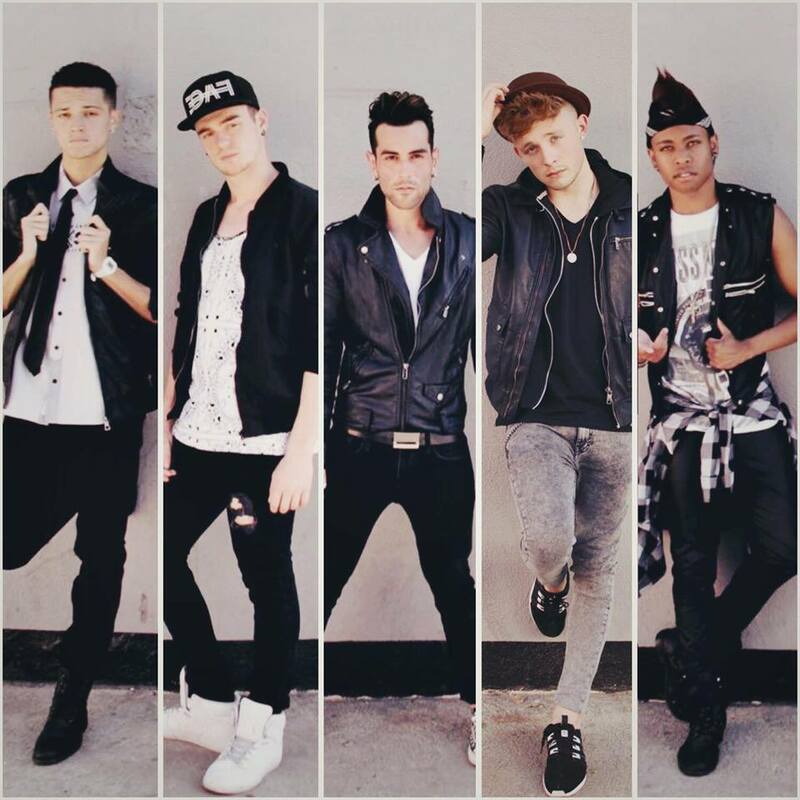 All of our social media is @phasevmusic for Twitter, Instagram, Youtube! This entry was posted in interview and tagged Belgium, boyband, dances, fivepice, LosAngeles, newmusic, PhaseFive, PuertoRico, singers, songwriters, UK. Bookmark the permalink. Alexis Keegan is a LA based Singer and Songwriter but all the way from Maplewood,NJ. Nobody Compares starts of with an upbeat and bouncy track and Pop genre which everyone loves a good Pop song to dance to and this is one you definitley can. Alexis powerful vocals come through and are very melodic and carries perfectly throughout the song. The lyrics in this seems like it comes from experience but tells you that ‘Nobody Compares’ to this one person she is talking about.Very clever and original which makes it a catchy song to sing along to but also hear the message behind the song as well. As for the instrumental a very atmoshperic and creative and makes the memorable. 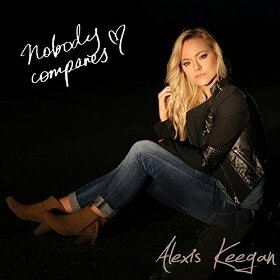 This entry was posted in Review and tagged AlexisKeegan, buyit, itunes, Music, NobodyCompares, Review, SINGLE, usa. Bookmark the permalink. REVIEW: THE SCHEME ARE SET TO RELEASE THEIR DOUBLE-A SIDED SINGLE ‘ DUSTS/JORDAN’S SMILE ON THE 25TH JULY AND IN AID OF CHARITY AND I HAVE A SNEAK PEAK CHECK OUT WHAT I THINK OF IT! 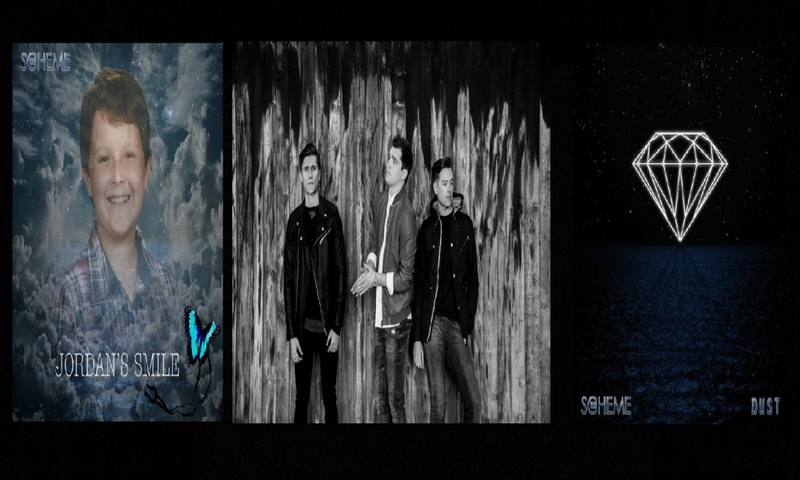 The Trio made up of Kris,Kyle and Aleskey and have a Pop genre. The Double-A Sided single kicks off with ‘Dust’ which is the first Single off the new Album which is set to be released in Autum. ‘Dust’ starts off with a slow guitar backing and gravelly vocals then jumps in to a very upbeat track. The melody is very tuneful and original which in a song it needs to be to show the how much hard work has been put in to the whole Track. Vocally its safe to say that this is a band to watch, their vocals are very appealing and confident and modulated. Lyrics in this song seem personal and deep about the love they had for someone and has been through alot with that person. On the Flip Side of the Double-A Single we have ‘jordan’s Smile’ which was self penned and written for a charity ‘The Jordan Smelski Foundation For Amoeba Awareness’ to help get more people aware of it. Jordan’s Smile is a Acoustic/Piano track that is very slow but still pleasant to listen to because it’s letting us hear the heart-warming story of this song. The lyrics in this song are so powerful and meaningful which makes you want to know the reason behind the track. The Vocals on this song are slow but still very silvery and makes you want to listen to it again. Even though the backing track is slower than the ‘Dust’ , this is a song that still carries you through it and is catchy and which you will remember this song but also remember the meaning behind it and why ‘The Scheme’ wrote it. ‘The Jordan Smelski Foundation For Amoeba Awareness’ here is a little more about it. Jordan Smelski was a 11 Year Old boy who went on a trip with his family to Florida and swam in a Hot Water Spring and contracted fatel amoeba. Here is the official website for ‘The Jordan Smelski Foundation For Amoeba Awareness’ please check this out and share. Lets raise more awareness. This entry was posted in Review and tagged 'The Jordan Smelski Foundation For Amoeba Awareness', 25THJULY, DOUBLEASIDED, DUST, JORDANSSMILE, Review, SINGLE, THESCHEME, trio, UK. Bookmark the permalink. Gavin Chappell-Bates is a Singer-Songwriter who sings Pop/Rock genre and writes with emotive meaning which portrays through his performances as well. This is a Three track EP. Kicking the EP off is a song which is the title of the Debut EP ‘ Black Holes’, This song starts off with a 10 second electric guitar riff. Gavin’s vocals then come through with a heavy guitar backing but can still understand what Gavin is saying. Establishing a fanatastic beat throughout this whole song which you can see it follows through the whole EP and carries you along Gavin’s musical journey of the EP. The second track ‘Follow The Light’ seems like a track that is personal to Gavin and shows his emotion throughout. The lyrics seem as if he’s gone through something in his life but no one believed he could do it but instead of listening he shined straight through and wrote this incredibly song, persuing his dream. A very tuneful melody which fits in with the whole EP. ‘Writing In The Sand’ is the third and final track on the EP. The song starts off with a quiter guitar riff which feels very atmospheric and captures your imagination when you are listening to the song and allows you to follow the song naturally which makes you want to put the track on repeat. Gavin’s vocals are very loud but very pleasant to listen to and feel the emotion in the song and voice when he sings. All together this is an EP to BUY, All three tracks show the hard work that has been put in the EP and once you listen to it you will see that Gavin has a fantastic voice, great lyricist but all together can show the emotive side and make you feel it as well throughout this EP. This entry was posted in Review and tagged BLACKHOLES, Ep, FOLLOWTHHELIGHT, GAVINCHAPPELLBATES, Music, NEW, Review, threetracks, WRITINGINTHESAND. Bookmark the permalink. ReV is a HIp-Hop Artist from Brooklyn,New York City. Starting the track off with a sound effect creates a nice calm mood for the track and carries throughout. Then ReV’s vocals come through rough but soft-spoken. From going to a slow song but still have that Hip-Hop feel then going straight in to ReV rapping vocals which are fantastic and feels honest as he raps his lyrics. All together vocally ReV’s has a interesting and tuneful track that you should all be listening too! 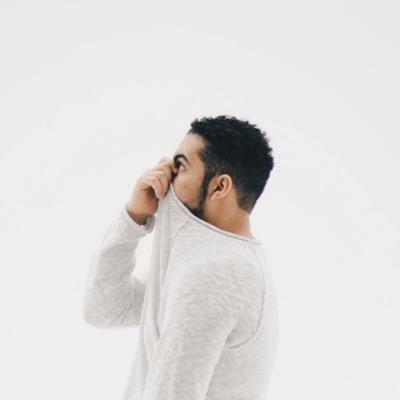 The lyrics seem to close to the Artist and personal but wants everyone to hear. CHECK ‘CROWN ME’ BY ReV OUT BELOW. Check out ReV on Social Media and be sure to watch out for this guy! 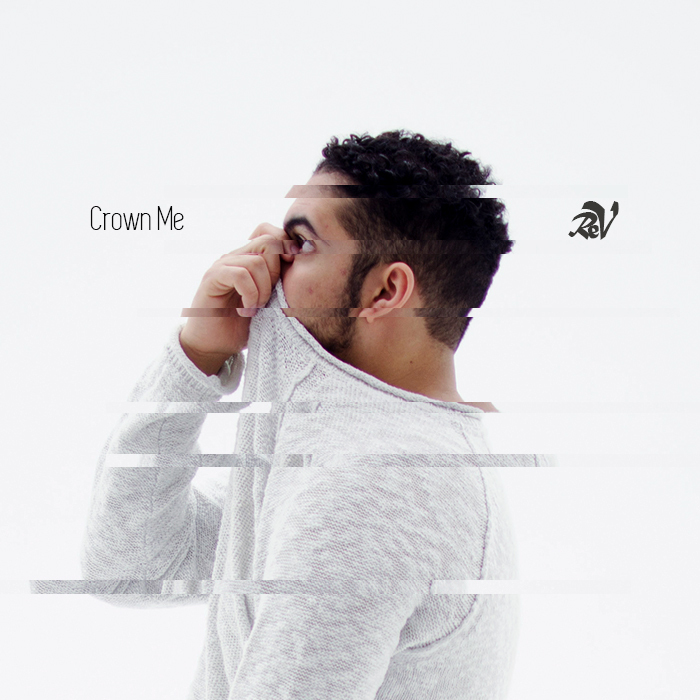 This entry was posted in Review and tagged CROWNME, newmusic, NYC, ReV, Review, SINGLE. Bookmark the permalink. 21 YEAR OLD REV IS A NYC UPCOMING HIP-HOP ARTIST AND IS READY TO GET OUT AND SHOW EVERYONE WHAT HE’S ABOUT. GET TO KNOW MORE ABOUT ReV RIGHT HERE. My name is ReV and I’m 21 years old and I am from Brooklyn, New York. I am the oldest of two children from my mother and father. I was never privileged so I at a young age I was able to relate to my community and the situations of my neighborhood. “He has a lot of potential, but he doesn’t apply himself.” That’s what my mom always heard from my teachers while I was in Elementary school. I didn’t notice it at the time but at a young age I was destined for greatness. I’m just trying to walk in my purpose, and that’s why I do music. At 15 I started to write and when I was about 17 I started to record my own material. Growing up I was into the arts category, I never played sports. My thing was drawing. I would draw superheroes for hours creating my own little comic books and sharing it with my friends until my teenage years I discovered how to draw pictures with words. Being introduced to poetry, it was a way that I could tap into the area inside of me that scared me the most. It was a way to vent, to express my emotions. Listening to Biggie Smalls for the first time made me write my first piece. I used to play African drums in school. The Notorious B.I.G, Kanye West, Wu Tang Clan, Jay-Z, Nas, Earth Wind and Fire, Michael Jackson, Justin Timberlake. In September my EP will be released. When I’m on the train, and alone at the latest times of night. I see my fanbase growing rapidly, I see myself leaving my mark in this world. I wanna give the world something to remember, whether it’s proving people wrong by my success or someone being so inspired by my creation that they go and create something memorable for themselves that the whole world can benefit from. I’ll always be a businessman, so I would have to say working hard so that one day I could own a hotel chain. I’m also really fascinated with politics and social justice I would like to see what I could do there. I watch A LOT movies. I also catch up on my childhood, I watch a lot of the cartoons I grew up on and I watch episodes of Martin. I’d definitely collaborate with Lorde. She’s a crossover artist but she’s from New Zealand. A collaboration with her would definitely be a beautiful sonic picture. Jay-Z! He’s the big homie. Love God, love people, follow your passion, and do you. Never take no for an answer. There is no such thing as failure, just find another way in. Always, always create. Innovate. Don’t be afraid to paint something no one’s ever painted before. My lyrics, my lyrics, my lyrics, my lyrics, and… my lyrics! This entry was posted in interview and tagged #interview #RobbieCavanagh, 21YEARSOLD, BROOKLYN, HIPHOP, JAYZ, KANYEWEST, NEWYORKCITY, ReV. Bookmark the permalink.